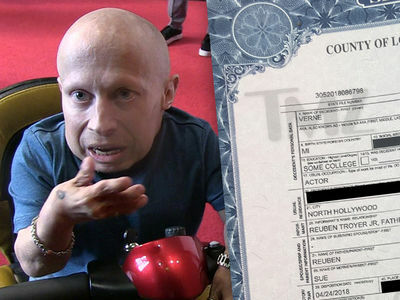 Verne Troyer's estate is getting a harsh reminder about the high cost of medical care, because it just got a hefty bill for his final days in an L.A. hospital. According to legal docs, obtained by TMZ, Valley Presbyterian Hospital slapped Verne's estate with a $364,797.05 invoice for his nearly three week hospitalization. Verne eventually died there from alcohol abuse. It might sound like a move straight outta Dr. Evil's playbook ... the fact is, creditors have a limited amount of time to file claims after someone dies. We've seen this happen with Michael Jackson and several other celebs. We broke the story ... the 'Austin Powers' star was rushed to a hospital after cops got a call Verne was extremely upset, drunk and suicidal. He was placed on life support, and remained in the hospital until he died. 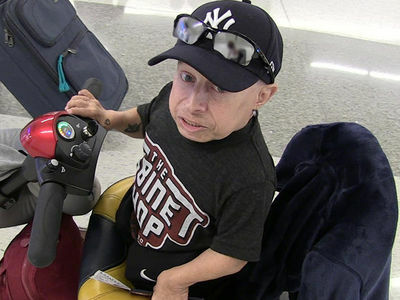 As we told you, Verne's estate recently got hit with an invoice from his final ambulance ride.